Home / breakfast / cinnamon chip scones / cinnamon streusel muffins / dairy free chocolate chip scones / PayPal / red velvet scones / scones / snickerdoodles / toffee chocolate chip scones / Scones... Lots of Scones: Cinnamon Chip and Toffee Chocolate Chip Scones! 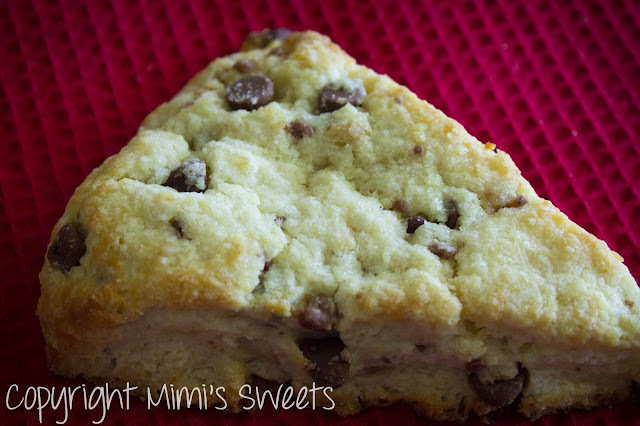 Scones... Lots of Scones: Cinnamon Chip and Toffee Chocolate Chip Scones! Scones for breakfast always seems to make my day a little bit brighter! 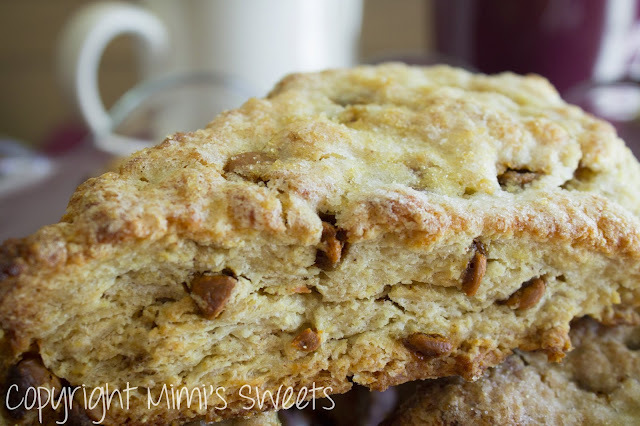 This post has Cinnamon Chip and Toffee Chocolate Chip Scones... Read on for all the yummy details! What can I say? These scones are so very delicious. They're hard to resist and even harder to stick to eating just one! These Cinnamon Chip Scones just may be my favorite ones. But let me tell you, the Toffee Chocolate Chip Scones definitely hit the spot. 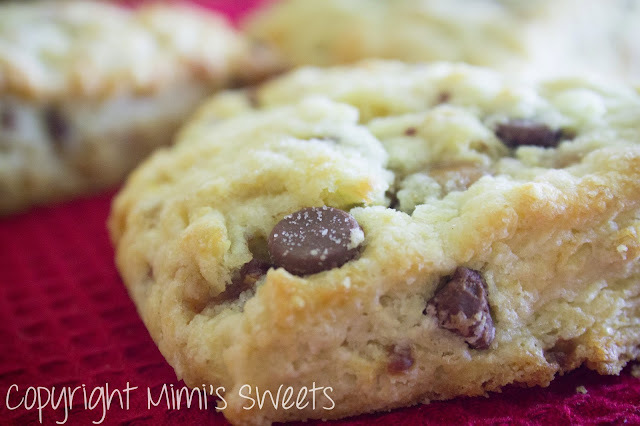 So, depending on your tastes, you may like the toffee chocolate chip ones better. Goodness, just looking at these pictures again are making my mouth water! Oddly enough, I didn't always have this much love for scones. It started about eight months or so ago. Then again, I'm one of the ones that had never had a scone until I was in college... and even then, it didn't leave a lasting impression. I guess it took making and eating a really great one to turn me into a scone lover! Flaky and crumbly on the outside, soft and moist on the inside-- mmm, now that's what I call a great scone! 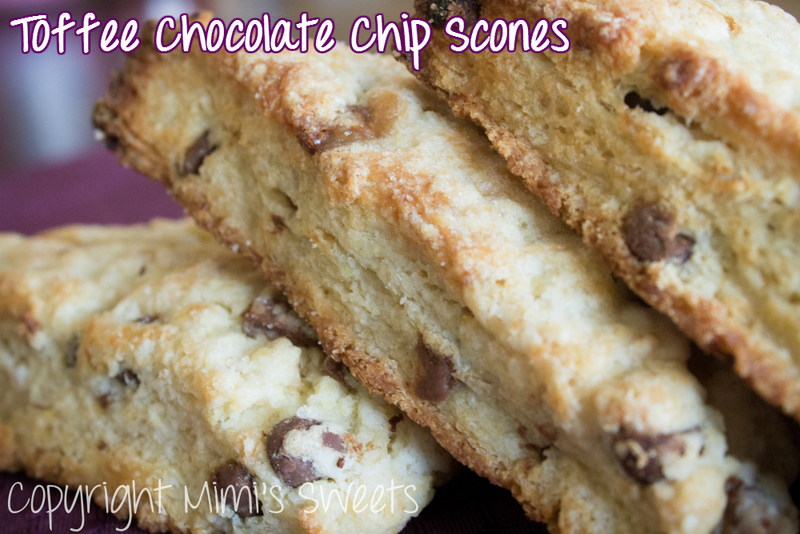 What is your favorite scone flavor? Need it dairy, sugar, or gluten free? 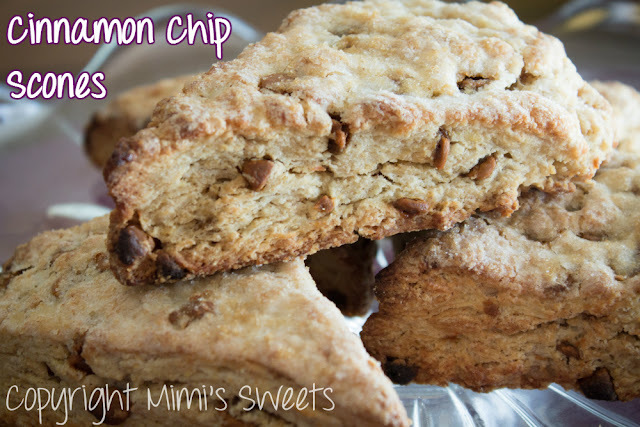 Just let Mimi's Sweets know when you're ordering! Remember, we ship everywhere in the USA and use safe payment through PayPal.